 Client's Request: Hi. We have a beautiful, delicious, amazing plum tree in our backyard. Every year, we've had so many plums that we've been able to share them with friends and neighbors. This year, our tree produced very few plums. Many were malformed. I also noticed some fungus-looking growth on the tree. Can you help me identify the fungus and/or suggest how I might fix my tree? Thank you! (pics below). Help Desk Response: Thank you for contacting the UC Master Gardener Program Help Desk about your plum tree. 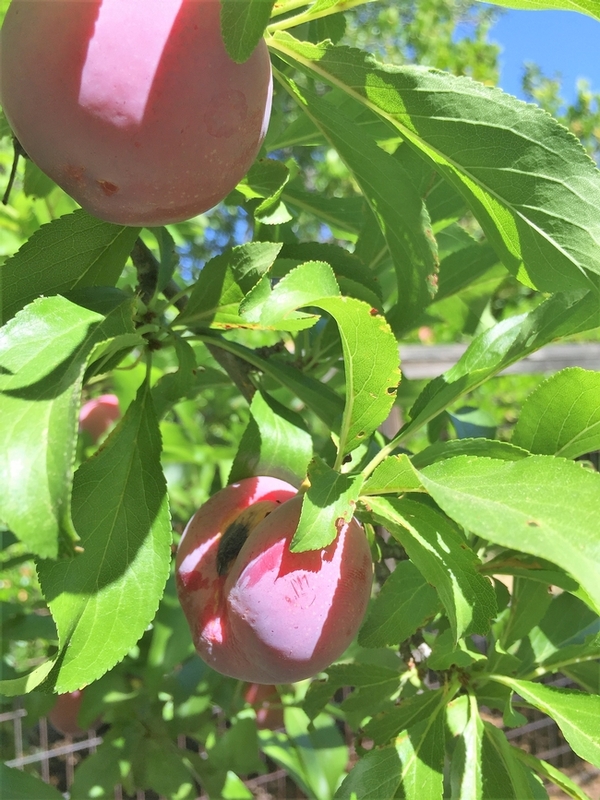 Your email indicates that your plum tree produced fewer plums than usual this year and that some of them are “deformed”. You also have noticed some “fungus looking” growth on the trunk of the tree. I have what I believe will be welcome news to you (and to your neighbors who no doubt love sharing the fruit from the tree). Based on the information provided in your email and what we can see in the photos you provided, we do believe that the tree has not developed any serious long term problems. Let me start with the “fungus looking” growth on the tree. What you are seeing are lichens. Lichens are living organisms composed of both a fungus and an algae. The fungus and algae live in a symbiotic relationship. The fungus receives some food from the algae and the algae some food and protection from the fungus. They are not parasitic on the host tree (i.e., they do not receive nourishment from the host) and are generally harmless to the tree. Lichens grow in a wide variety of shapes and colors, ranging from the gray green and yellowish colors shown in your photos to bright red for some types. Lichens are more noticeable on older trees such as your plum than they are on younger trees because the rapidly growing trunks of young trees tends to disburse the lichens. As indicated in this University of California website, it is possible to remove lichens using herbicidal soaps developed specifically to control mosses, lichens, and algae. 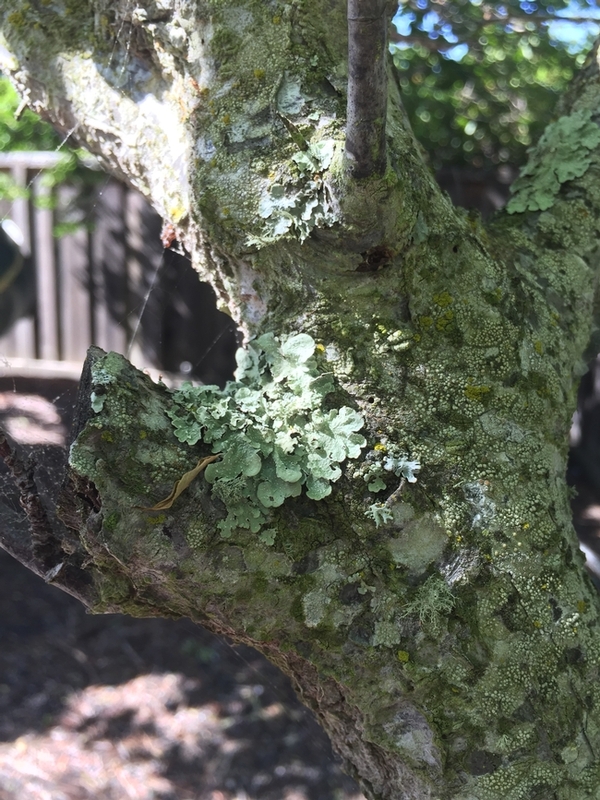 http://ipm.ucanr.edu/PMG/GARDEN/ENVIRON/lichens.html Since the lichens are not harmful to the tree, using such soaps is unnecessary and we would not recommend it for your tree. Now let's turn to the question of why your plum tree produced fewer fruits this year than you have had in the past. There are a couple of possible explanations. One possible factor is the weather conditions that we experienced in the spring months when the plum tree was in bloom. This year, we had a warm and generally dry February and early March. Fruit trees tended to bloom early. Then we started having some regular rain storms and cooler weather. The rain storms may have washed off some of the blooms on your plum tree. Cool, rainy weather also tends to keep honey bees and other pollinators away. Those conditions may have held down the fruit set. Another possibility is “biennial blooming” which often occurs with fruit trees. With biennial blooming, the tree produces a heavy crop one year, a very light crop the following year, followed by a heavy year, then a light year, etc. Hormones produced in fruit seeds are to blame for biennial bearing. The hormones present in the tree with a heavy crop suppress flower-bud formation the following year. In a year with few fruits, hormone levels stay low, so there are more blooms and more fruit the following year. To interrupt this phenomenon, you can reduce the number of fruits that are allowed to develop in a heavy year by thinning the crop. Possibly for your fruit tree, there might have been a combination effect—the rain removed some of the blooms and held down pollinators and perhaps the tree was already in a lighter fruit production cycle since you had a good crop last summer. Finally, let me address the “malformation” of some of the fruit. We don't see much evidence of malformed fruit in the photos you sent. We do see one fruit that looks like it has cracked. Such cracking often is a result of erratic watering while the fruit is developing. If the tree received significant water when the ground was dry, it could have taken up the water rapidly and caused the fruit to split. Possibly the “malformed” fruit has already fallen from the tree so you cannot provide photos. In that case, we would suspect that the pollination was inadequate. Similar to the small crop this year, the rainy conditions and lack of pollinators during bloom could have been factors for the malformed fruit.